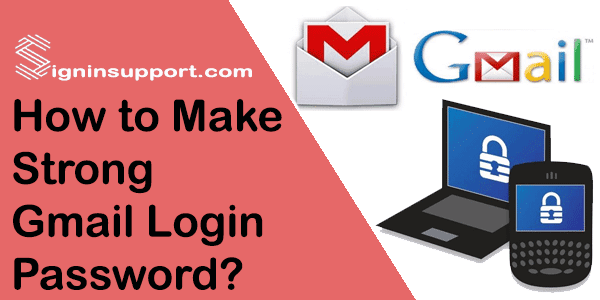 You are here: Home / Gmail / How to Make Strong Gmail Login Password? Your Gmail login password should be strong and secure, so others can’t easily hack into your Google account. Gmail password is the master key to enter all Google products and services like Gmail, Google Drive, YouTube, Google Plus, etc. So, we suggest creating a strong login password to your Gmail account. Many people make the password very simple like ‘password’, ‘abc123’ etc. So that; anyone can easily crack the account login password and get access to your account. You really shouldn’t make this mistake. And you should not create a complex password too. In this article, we are explaining how to make a secure password for your account. Hackers are hacking and publishing login details of millions of users, and this trend is increasing. So you should take your Gmail security seriously even though Gmail is not hacked in big scale. Here, we’ve outlined a few tips to create a strong password for Gmail.com to keep your account protected. If your current password does not match the criteria below, you should change Gmail password now. Always use a combination of letters, numbers, and symbols. Create at least ten characters long. Pick a unique Gmail password. Use different passwords for different accounts. Keep it secure, don’t reveal any close notes or info to anyone. Don’t use your personal information in your Gmail login password. Don’t use any common or dictionary words to your Gmail password. 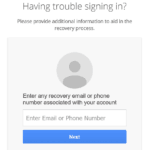 Make sure you’ve updated Gmail password recovery options and are up-to-date. Remember, you won’t be able to reuse the same password which you’ve used in the past. Adding space at the beginning or end of your password is invalid, but you can add spaces inside the password. Some passwords which are easy to guess, crack and hack are blocked by Google security system already. 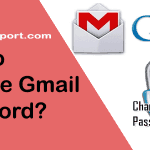 Notice: Change your Gmail login password regularly. You should change it at least once in 60 days. If you are unable to remember complex passwords for multiple accounts then you should use a password manager. LastPass is one of the most reputed password managers. It saves and sync password among devices. And with its finest encryption, you don’t need to worry about security. It has a free and premium version but even with the free version, you can use almost all features. Sometimes it’s not enough to have a secure password only. 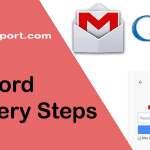 You need to add an extra step of security which is known as 2-step verification. 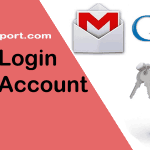 In 2 step authentication, you need verification code along with Gmail password to log in to your Google account. So if you’ve enabled this feature, other people can’t access your account even if they have your password. Read more about it. If you’re using Google Chrome for web browsing, it will remember your login passwords for different sites. You just have to click ‘Save’ when Chrome pop-up password manager box saying ‘Do you want Google Chrome to save your password for this site?’. If you’re logged into Google Chrome with Gmail account, it will sync your passwords on your different devices. Clear browsing data of your internet browser. Clearing cache removes login credentials that were saved in your web browser. Choose period and select the checkboxes for the types of information that you want to delete from web-browser.